distinctive red color allows the beer to stand out from the brewery's standard design (Franconia Brewing Co.). 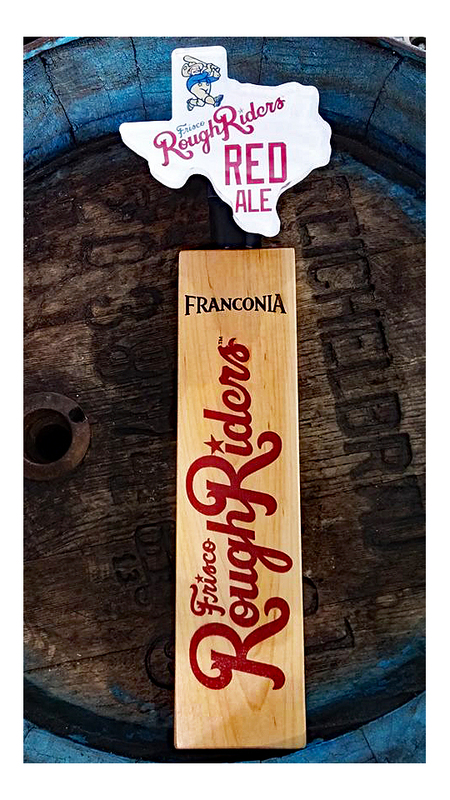 Just in time for Opening Day of the baseball season, Franconia Brewing Co. and the Frisco RoughRiders have announced the return of RoughRiders Red Ale. First introduced in May 2015, RoughRiders Red Ale is an Irish red with an easy-drinking style and a low ABV (4.5%), making it a perfect beer for drinking at the ballpark on a warm spring day. "We are very proud of this collaboration as we feel strongly about our local community, and what better way for our company to show that pride than by partnering with the RoughRiders," says Dennis Wehrmann, founder of Franconia." Coincidence or not, the color of the RoughRiders matches the color of the beer, so we celebrate the team and the bier from here." Originally, RoughRiders Red Ale was only available on draft at Bull Moose Saloon in Dr. Pepper Ballpark. And while it will still be offered in that format at RoughRider games during the season, this year's edition will packaged in bottles for the first time. "Taking RoughRiders Red Ale beyond the friendly confines of Dr. Pepper Ballpark is an extremely exciting venture for us and our good friends at Franconia," says Scott Burchett, chief operating officer of the RoughRiders. "We look forward to quenching thirsts around North Texas with a taste of RoughRiders Red." 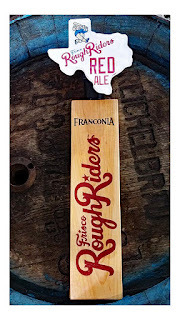 According to a press release, RoughRiders Red Ale will be available on tap and in six-packs of 12-ounce bottles. Distribution will be limited to Frisco and Collin County, with the beer to be sold at Kroger stores, as well as at select retailers, restaurants and bars. As for RoughRiders Opening Day, that happens on Thursday, April 6 at 7:05 p.m. Tickets for the game may be purchased online at RidersBaseball.com, or by calling or visiting the RoughRiders Ticket Office (972-731-9200).